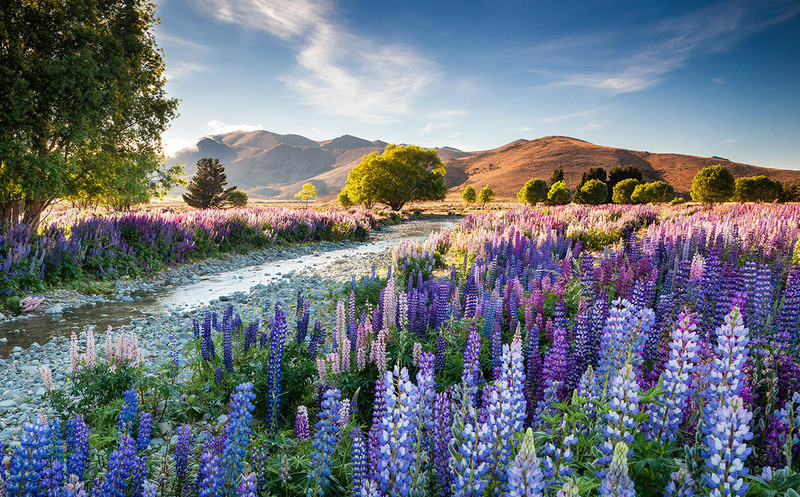 The winner of the International Garden Photographer of the Year - Competition 9 - is Richard Bloom with 'Tekapo Lupins'. "This picture is totally immersive and a joy to behold. The eye is led to the horizon by the diagonals of the stream and the trees, with the cool blue notes in the foreground complemented by the warmth of the rising ground in the distance. The cobbles of the stream and endless lupins beautifully orchestrate the picture’s structure and texture whilst the trees soften the scene, making this an elegant symphony of plants and nature."